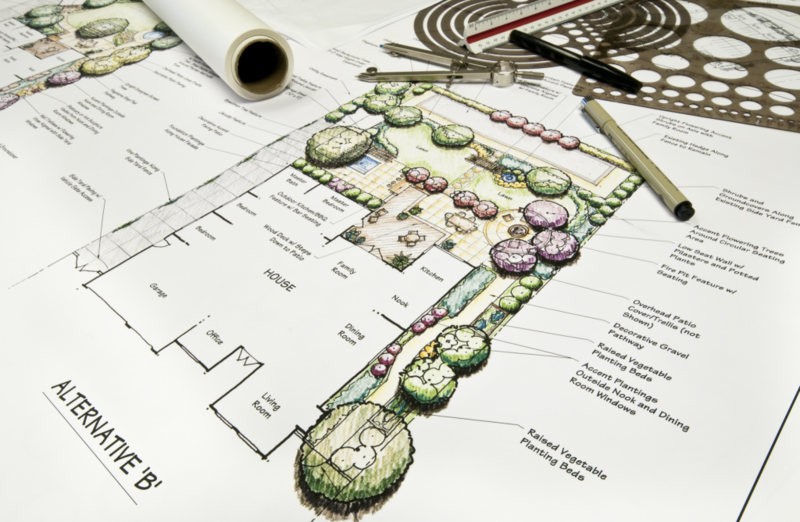 The success of any landscaping project depends on design and preparation. Thoughtful and professional planning of your landscaping will help you to create your dream backyard. 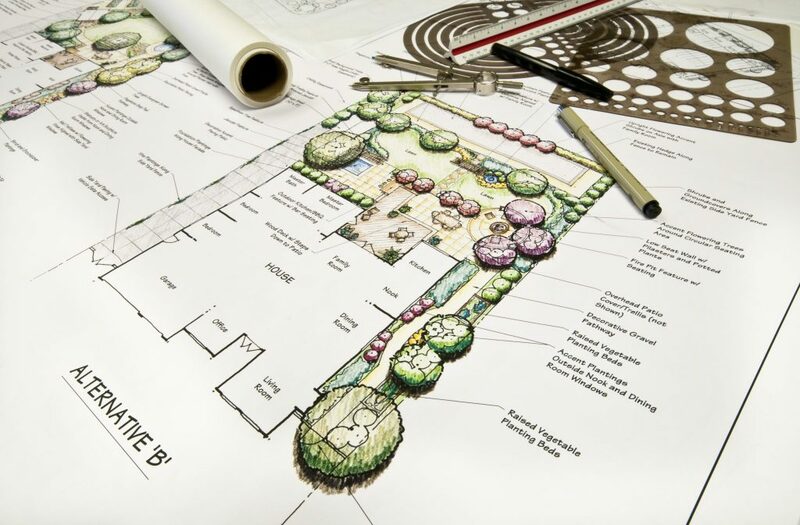 A landscape design is first sketched on graph paper or drawn up with a CAD software program. 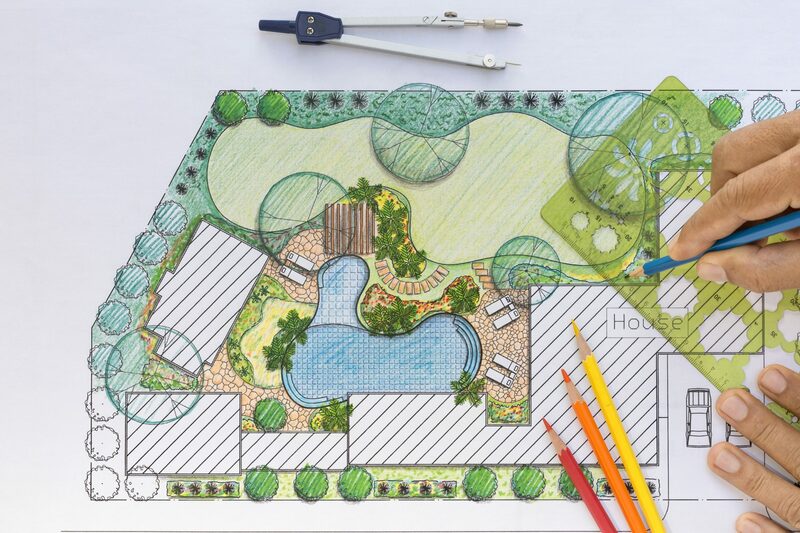 Without the assistance of an experienced professional, creating a landscape-design plan can be somewhat intimidating for homeowners. First, a scaled map is created to show where the property boundaries are in relation to the home. It is critical for the dimensions and placement of structures to be precisely represented to create an accurate depiction. 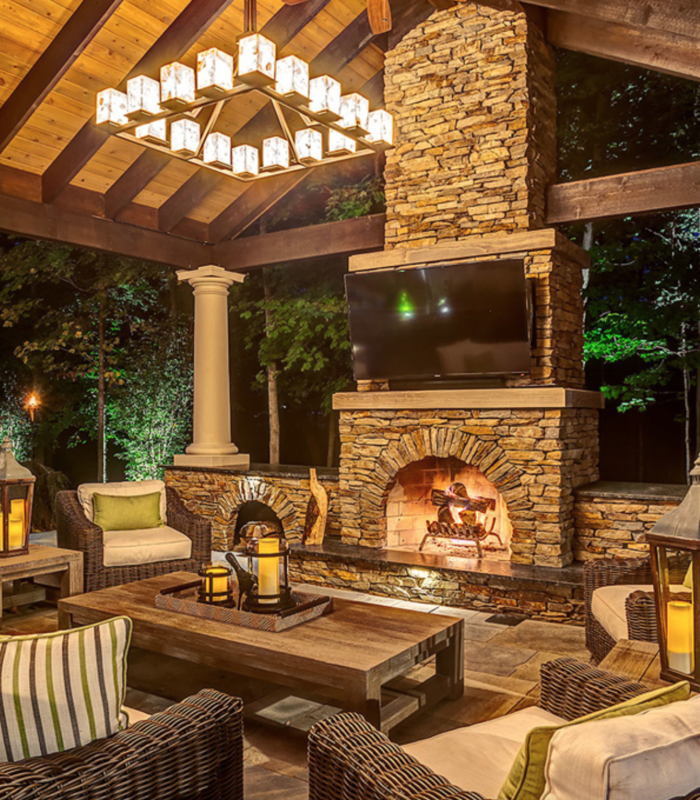 When creating a landscape design, the entire property must be looked at as one cohesive unit. A landscape designer will know how to factor in everything from the trees and shrubs to the walkways and lighting. 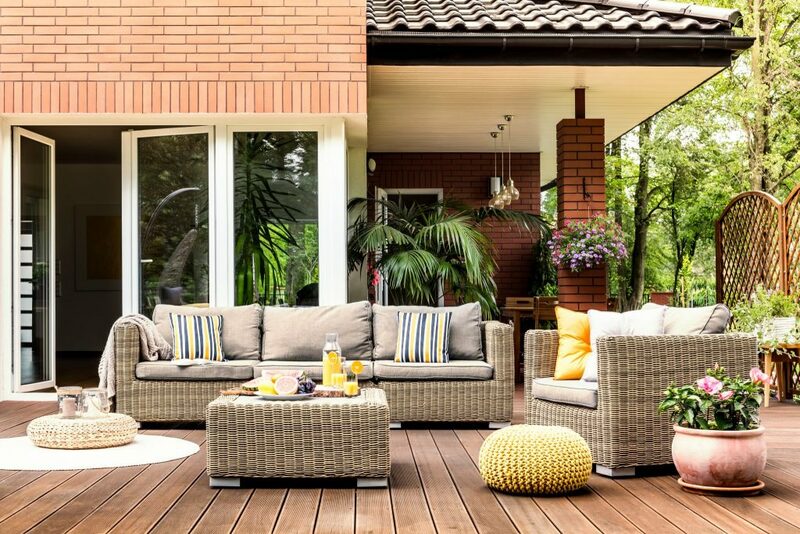 You need to account for all parts of the home and yard, including patios, decks, gazebos, and pools. Design your walkways to be both aesthetically pleasing as well as safe to walk on during both day and night time. 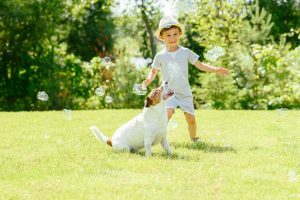 Once you have an accurate illustration of your yard, other characteristics of your property, you can add in types of vegetation and natural areas to the plan. 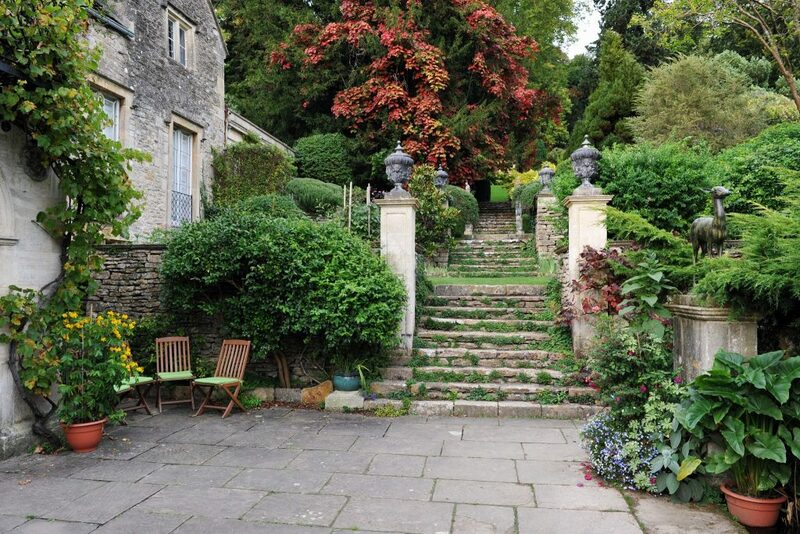 Once you have a thorough understanding of what you have to work with on your property you can start to think about what landscaping design features you want to incorporate. 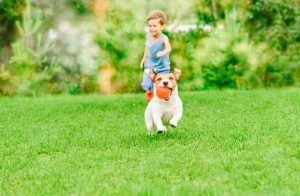 A properly landscaped yard should have something for the whole family. This may include adding flower, herb or vegetable gardens and areas for entertaining or relaxing, a play area for the kids, a pet-exercise area or spaces for hobbies and equipment repair. Once you have a general idea of how you want your yard to be laid out you will need to choose the right plants and materials for your space. Choosing plants that are native to specific growing zones will allow them to survive and flourish while minimizing maintenance. 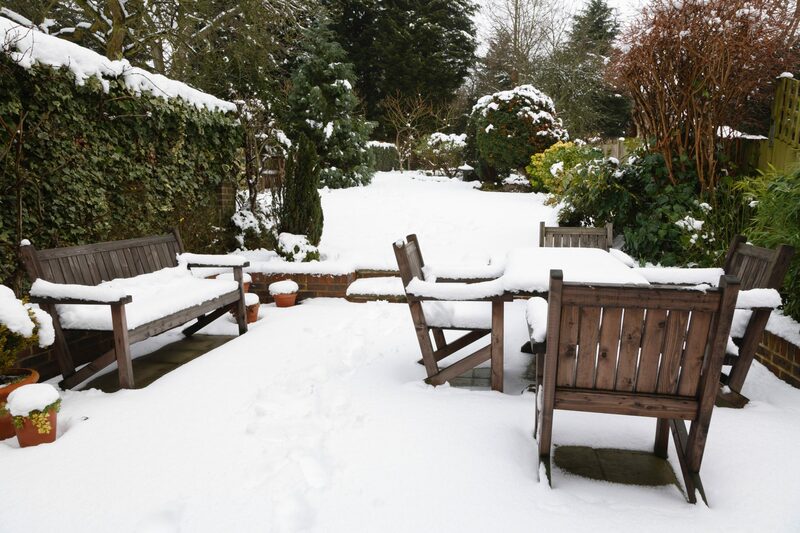 You will need to decide on the types of trees, shrubs, and flowers as well as materials for patios, decks and walkways, privacy screens and noise barriers. In some places, plants can also serve as structures. For example, a row or two of some type of evergreen shrub, hedge or bush can act as both a noise barrier and privacy screen. 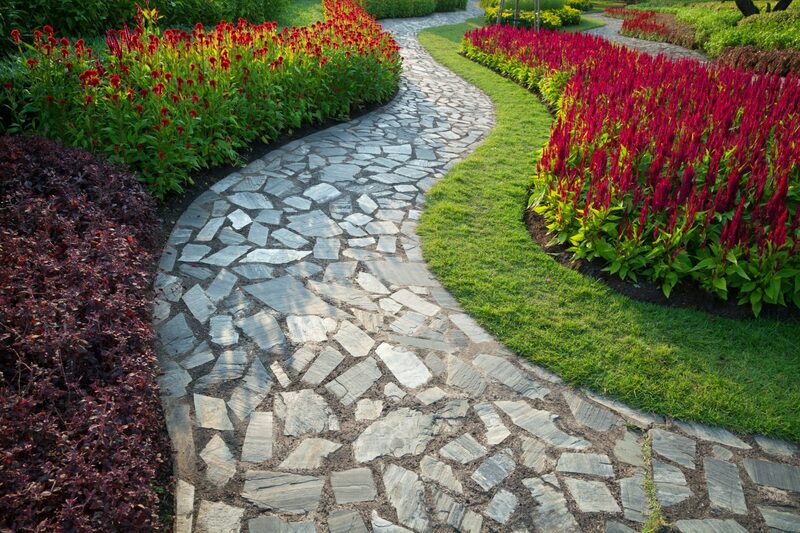 Hiring a landscape designer will help you make these decisions and avoid common mistakes. 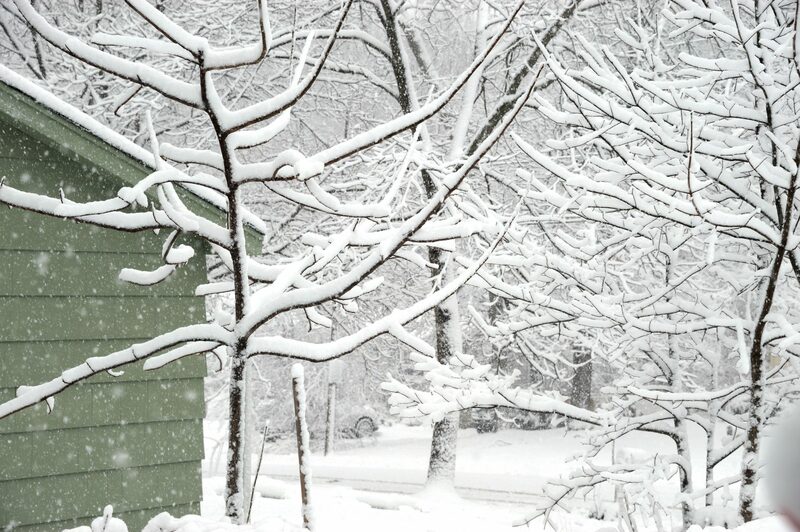 For example, one common mistake many people make while landscaping is placing plants or trees to close together. This constricts plant growth. After you have determined the primary uses for your yard you can begin the process of organizing and laying out the design on paper. The house, garages, outbuilding and any other relevant structural details should be added to your design first. 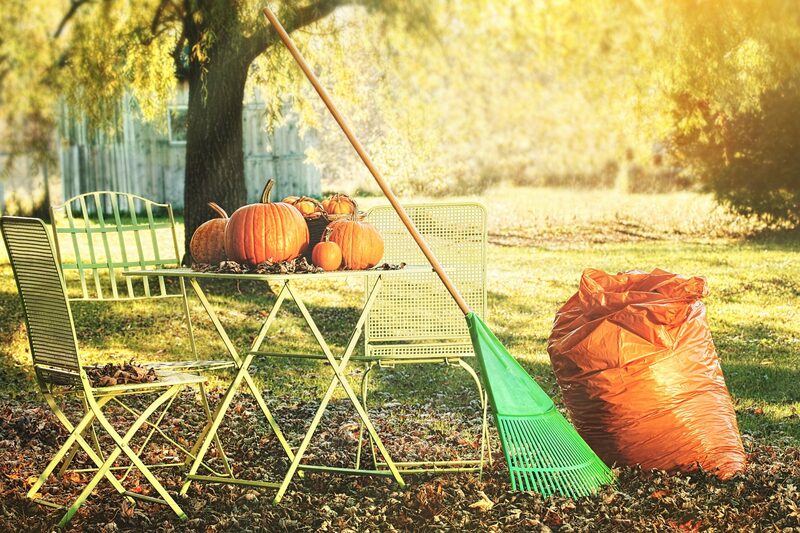 Any areas of your yard that are in public view should be given special consideration, including setting up sheltered areas for storing refuse, lawn maintenance equipment, and other miscellaneous outdoor supplies. Finally, add driveways, walkways, and entrances for patios and other main areas. 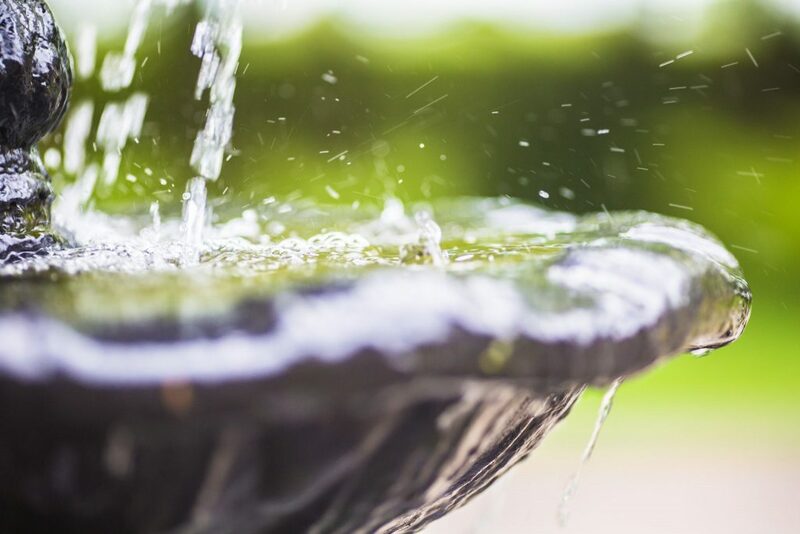 Each of these basic, but important, features plays a vital role in creating an attractive and functional landscape design. Rainfall, wind, topography and temperature variations in the area should all be considered while you design your property. 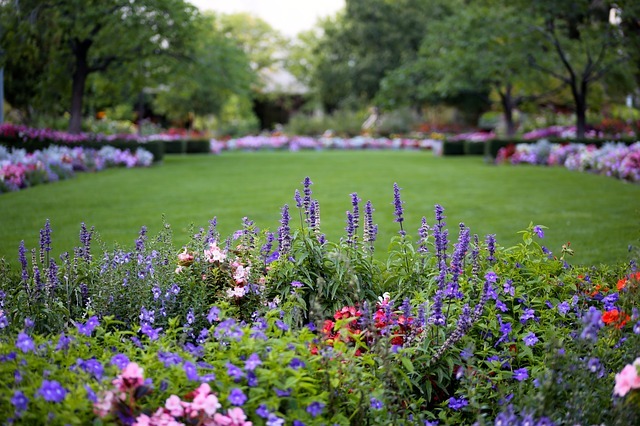 Consult a professional landscape for specific recommendations. 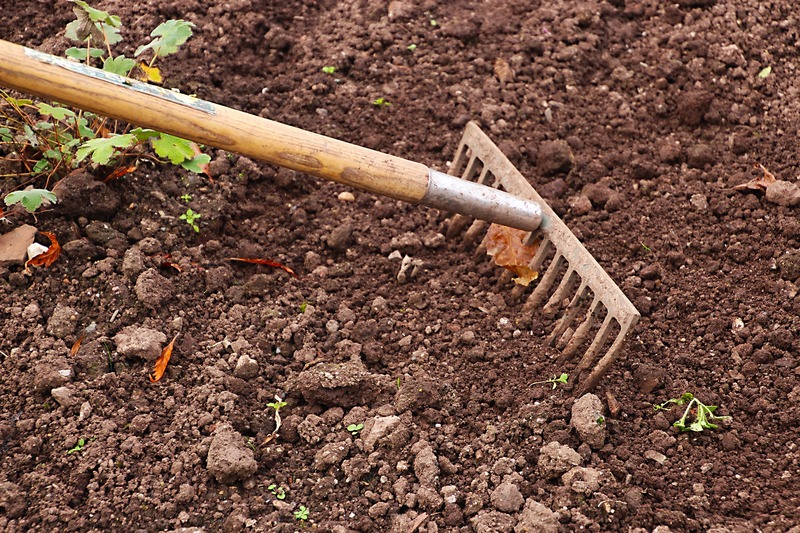 Because soil heavily impacts vegetation, it is important to have a professional soil test done to determine what plants are best suited for your soil type. Topography, including slopes and variations in elevation, will affect the drainage of your property and should be factored into your decision as well. Daily sun and shade patterns on your property can help you map out where to plant trees in your yard. Additionally, the angles of your house, garages, sheds and other outdoor structures can help to highlight or downplay qualities of your home and yard. A night garden is a great way to add both romance and mystery to your yard. The proper selection of plants is crucial to create the perfect night garden. When in doubt, choose low-maintenance species that thrive in the moonlight. Plants that release scent during the night, called “noctiflora,” are some of the best choices for night gardens. Light-colored flowers and foliage that show up well in the dark are also great choices. 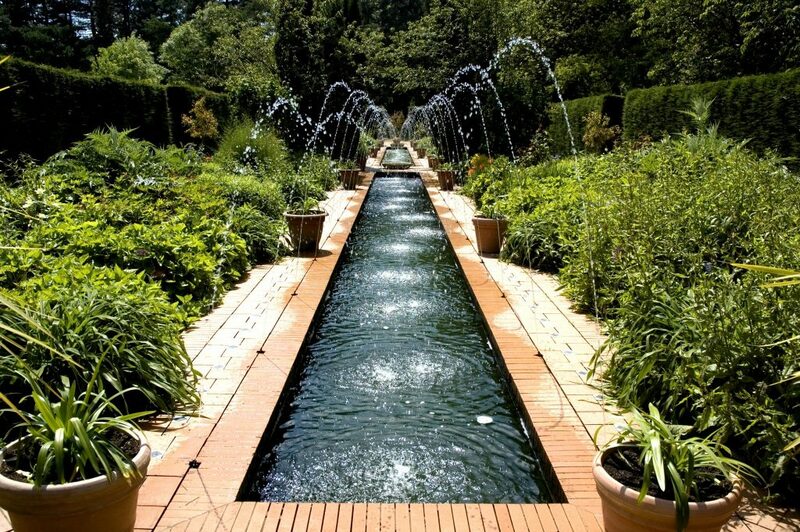 A garden’s layout can have a big impact on how the light falls on and illuminates the plants. If natural lighting can’t be used for some reason, you can achieve the desired effect with landscaping lights. 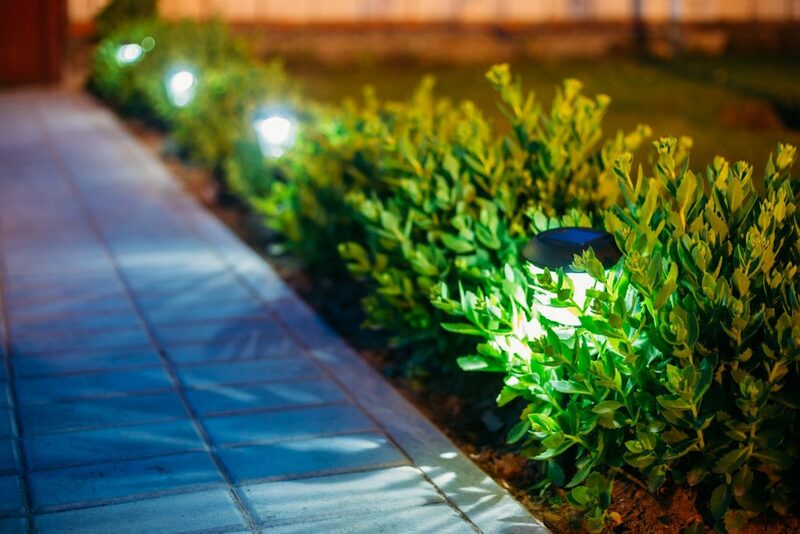 The three main types of landscape lighting include downward, upward and cross lighting. Downward lighting adds a feeling of class and is a fashionable choice for casting light from above. Upward lighting works well for illuminating the sides of structures, such as walls and pillars, from the ground, adding depth to an otherwise boring scene. Cross lighting is designed to cast light a specific point from both sides, above and/or below. 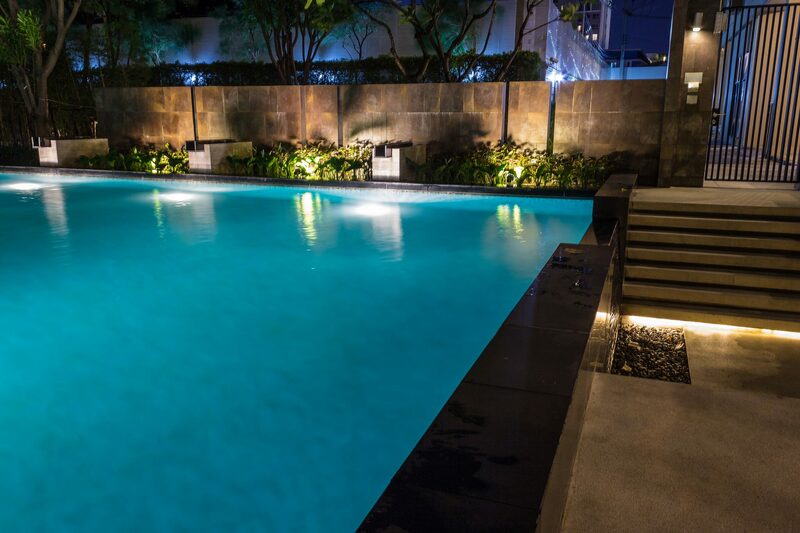 Multi-colored lighting will allow you to express yourself, mix things up and make the landscape features truly pop at night. A well-lit multicolored path can also be a stunning feature for a night garden. When you decide to landscape your backyard, it is important to craft a meticulous landscaping plan. If you would like to redesign your backyard, call the experts at Hidden Creek Landscaping. 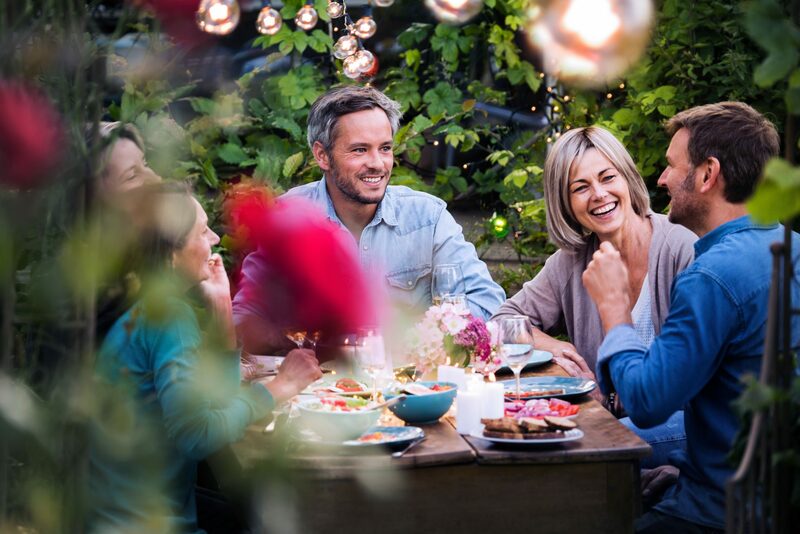 Together, we can create a backyard that’s perfect for you and your whole family.